About a year ago, irrigation officials were discharging excess water through Ubonrat dam to increase reservoir capacity to ease flood problems in Thailand’s northeastern province of Khon Kaen. Last week, Thailand’s upcoming elections took a bizarre turn when Princess Ubolratana Rajakanya, Thai King Maha Vajiralongkorn’s elder sister, was registered as a prime ministerial candidate by Thai Raksa Chart, a Thai political party affiliated with the exiled billionaire and former prime minister Thaksin Shinawatra. What can stop the baht? Big business won. Again. We should not be surprised nor disappointed at the government’s decision to support the weed killer paraquat which poisons the environment and makes us sick. We should be angry. The Phuket Provincial Health Office (PPHO) has warned that health officials working together with police will enforce the nationwide ban on the sale of alcohol for the Makha Bucha religious holiday tomorrow (Feb 19). A recent report noted that Thailand is in the process of gradually shifting from a manufacturing to a high-value, hi-tech manufacturing economy. THE THAI economy will grow by 4 per cent in 2019, propelled by private and public investments, the upcoming general election and private consumption, according to a forecast by the National Economic and Social Development Council (NESDC). Leaders of Thailand’s biggest opposition party campaigning on Monday never mentioned ousted premier Thaksin Shinawatra, whose policies they espouse, nor the princess whose shock candidacy could see its ally banned from the March 24 election. The Bank of Thailand on Monday announced that banks will not be closed on April 12, despite it being an extra holiday for government officials for the long Songkran weekend. Australian Federal Police did not know a Bahraini soccer player was a refugee who feared persecution in his homeland when the agency alerted Bahrain and Thailand that he was on a flight bound for Bangkok, a top police official said Monday. The Ministry of Agriculture and Cooperatives has indicated that it will calculate the existing quantity of three chemicals granted an extension of use by the National Committee on Hazardous Substances, and confirmed it has already begun to limit their importation. Among those involved in the case of Bahraini refugee footballer, Hakeem al-Araibi, which culminated in his return to Australia, was Chatchom Akapin, director-general of the Office of the Attorney General (OAG)’s International Affairs Department,who admits staff were worried about how it would turn out. The Royal Irrigation Department (RID) has asked that farmers observe its water supply plan, after finding that 5.28 million rai of off season rice crops are planned in the Chao Phraya river basin, 10 percent beyond its intended supply. Thailand has arranged for a Gifting Ceremony of the Sacred Sri Maha Bodhi Tree as a kind gesture of goodwill to bless the reign of King Rama 10. Thailand has become the first country in Southeast Asia to legalise the use of cannabis for medical purposes, and countries like Philippines and Malaysia are considering the same. The Thai government is keen to establish a new ministry to boost science and innovation research. Bangkok Wakes to Rain should come with a mop. This teeming debut novel by Pitchaya Sudbanthad recreates the experience of living in Thailand’s aqueous climate so viscerally that readers will feel the water rising around their ankles. Temples across the country are preparing for Makha Bucha Day activities. The technological disruption caused by automated systems and artificial intelligence (AI) is pressuring the country’s labour market, particularly the manufacturing sector, say business operators. Thailand will host this year’s Miss World Pageant for the first time, event organizers announced Monday. Mukdahan Wild Animals Checkpoint officials were joined by personnel from other agencies in confiscating 182 baskets containing 2,730 rat snakes and cobras – worth Bt1 million in total – about to be smuggled to Laos. Summer officially begins Thursday and will be even hotter than last year, according to the national weather service. A sunny day marked the first day of racing in the Dart 18 World Championships at Royal Varuna Yacht Club in Pattaya on Sunday, with the full scope of skills required for the spectrum of winds that filled in to 15 knots plus from the south. Thailand’s Finance Ministry will seek cabinet approval for 6 billion baht, to be distributed by the state-run Bank of Agriculture and Agricultural Cooperatives (BAAC), for farmer cooperatives and community enterprises to buy sugarcane harvesting machines. 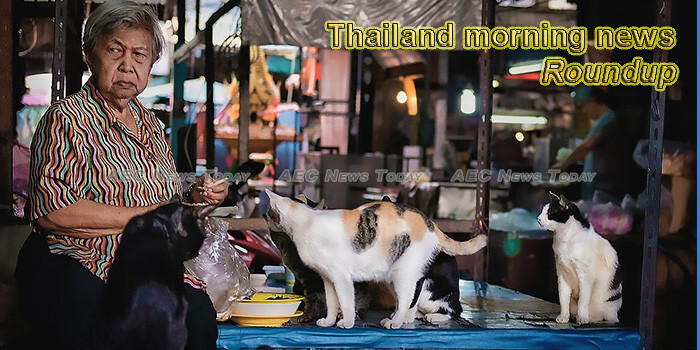 THE Tourism Authority of Thailand is expecting that more visitors from the Philippines will be visiting the Land of Smiles in 2019 after a good showing in 2018, with an executive from the tourism authority said that they will be promoting secondary cities this year in order for tourists to discover more of Thailand. This former sports promoter could be Thailand’s first transgender prime minister. Farmers in Lampang province have struck a deal with the private sector in response to the government’s market-based production campaign. Uncertainty over Thailand’s political situation is apparently less of a concern for Airbus than the political uncertainties in the UK with Brexit looming. Exciting things are happening in the sky this week, and no, it’s not smog-related. The National Astronomical Research Institute of Thailand (NARIT) today is inviting netizens to watch out for a pair of what they hope will be spectacular astronomical events this week: the Venus-Saturn conjunction and the Super Snow Moon (aka Super Full Moon). 50 Thai motorcycle taxi drivers have set up a blockade at the Thai-Malaysian border checkpoint to protest what they allege are unworkable, stricter immigration checks now imposed by Malaysian immigration officials.